Skincare By Alana is the premier location to purchase Agadir Oil products online! Don't beleive me? Take a look at the testimonials from thousands of satisfied customers. We offer free shipping on every order and the best free gift options in the business. Also, to show my enthusiasm for Agadir, informative Agadir videos about Agadir for your viewing pleasure. Agadir Hair Oil (formerly known as Moroccan Gold Miracle Hair Oil) really does work miracles on your hair. After just one application you will see your dry, dull, frizzy locks come to life with a brilliant and glossy texture that looks and feels simply amazing! This precious oil comes from the nut of the Moroccan Argan Tree and is known worldwide for its incredible restorative effects on hair, skin and nails. In fact, the women of Morocco have been using this superior oil for centuries. Now available to you, Agadir Hair Oil uses only 100% pure and certified Argan Oil that imparts luster, manageability, and softness to your hair without weighing it down or making it greasy. The products from Agadir Hair Oil will work so well on your hair it will quickly become the one hair treatment you cannot do without! 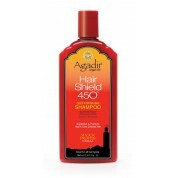 Agadir Hair Oil is also natural, alcohol free, and so good for your hair that just a few drops on any hair type after shampooing nourishes and transforms hair; it absorbs instantly, detangles, and tames split ends while giving hair a smooth, shiny texture that feels as beautiful as it looks. This Vitamin E rich formula also promotes healthier hair growth, improves flexibility and control, and reduces drying time by nearly 40-50%! Treat your hair to the luxurious benefits of Agadir Hair Oil and experience the best hair you have ever had! You can order Agadir Hair Oil online anytime through Skin Care by Alana, in Orange County, CA; shipping is free anywhere in the United States. 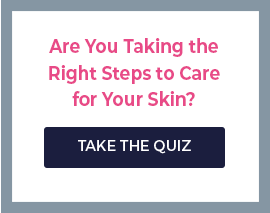 Or, call us today- our hair care expert can answer your questions or take product orders. Skin Care by Alana is one of the largest retailers of Agadir Hair Oil and is proud to provide this outstanding product!